John Esposito channels the Koran. Fantasy Islam (Kafir Edition): A game in which an audience of non-Muslims wish with all their hearts that Islam was a "Religion of Peace," and a Kafir (non-Muslim) strives to fulfill that wish by presenting a version of Islam that has little foundation in Islamic Doctrine. In Part 1, I showed how John Esposito, a Professor of Islamic Studies at Georgetown University, played the Kafir Edition of Fantasy Islam with his book, What Everyone Needs to Know about Islam. In this article we look specifically at how Esposito also provided his own interpretation of the Koran. Are Koran Verses General and Timeless? - When a Koran verse was "revealed," was its message specific only to a particular occurrence and/or time period? Or is the message of a Koran verse generally applicable without time restrictions? As we shall see below, there is significance in whether a verse's message is general and timeless, or specific and restricted. Critics use the verse to demonstrate that Islam is inherently violent…it is a distortion to apply this passage to all non-Muslims or unbelievers; the verse is specifically referring to Meccan "idolaters" who are accused of breaking a treaty and continuously warring against the Muslims. But if they repent and fulfill their devotional obligations and pay the zakat [the charitable tax on non-Muslims], then let them go their way, for God is forgiving and kind. There are numerous problems with Esposito's examination of 9:5, starting with the claim that 9:5 was referring only to specific Meccan idolaters, for which he provided no supporting evidence. This was one of the last verses to be revealed, and perhaps the last verse that dealt with the treatment of the disbelievers. So this verse dealt with how the Muslims were to treat all non-Muslims, not just the Meccan idolaters. This honorable Ayah (9:5) was called the Ayah of the Sword, about which Ad-Dahhak bin Muzahim said, "It abrogated every agreement of peace between the Prophet and any idolator, every treaty, and every term." Al-‘Awfi said that Ibn ‘Abbas commented: "No idolator had any more treaty or promise of safety ever since Surah Bara'ah [Chapter 9] was revealed. Ibn Kathir noted that the command to slay the idolaters wherever you find them was a "general statement" and meant Muslims could slay them "anywhere on earth you meet them" (Tafsir Ibn Kathir, Part 10, p. 90). Despite Esposito's claim to the contrary, the message of 9:5 is general and timeless. Esposito then claimed that the last part of 9:5 restricted the command to slay non-Muslims found in the first part of that verse. To support this claim, he stated that the last part of 9:5 allowed non-Muslims to save themselves by paying the zakat, which he then erroneously defined as a charitable tax on non-Muslims. This was a strange definition, because Esposito had correctly noted on pp. 20-21 and in his Glossary that zakat was charitable giving by Muslims and one of the Five Pillars of Islam. In spite of Esposito's claim, the real meaning of the last part of 9:5 is that the only way non-Muslims can save themselves is by converting to Islam (e.g. Tafsir Ibn Kathir, Vol. 4, p. 376; and Tafsir Al-Jalalayn, p. 398). But by erroneously defining zakat, Esposito enabled the reader to believe that 9:5 provided non-Muslims the option of paying the charitable tax on themselves to save themselves from the Muslims, instead of understanding the true command of 9:5, which is convert to Islam or be killed. …to support those working in the "cause of God" (e.g., construction of mosques, religious schools, and hospitals, etc.). …(i.e. for Mujahidun – those fighting in a holy battle) - Interpretation of the Meanings of The Noble Qur'an, (Darussalam), p. 266. And for (fighters in) the cause of Allah – English Translation of the Message of the Quran, (Book of Signs Foundation), p. 101. …is exclusive for the benefit of the fighters in Jihad… - Tafsir Ibn Kathir, Vol. 4, p. 458. …to enable those who do not have booty to undertake jihad… - Tafsir Al-Jalalayn, p. 415. For the cause of Allah means jihad. Zakah may be spent to buy weapons and help a fighter… - Tafsir Ahsanul-Bayan, Vol. 2, p. 371. …for the fighters for the cause of Allah… - Tafsir Ibn ‘Abbas, p. 238. No talk of construction projects here. So according to Esposito, Islam "limits" violence by commanding that Muslims can start taking captives only after they have killed and wounded many of the enemy. An interesting definition of "limits." is often used by scholars to illustrate Islam's acceptance of freedom of religion, that other believers should not be forced to convert to Islam. In my latest book, Islam's Militant Prophet: Muhammad and Forced Conversions to Islam, I show that the doctrinal authority of 2:256 lasted only from the time of its "revelation" in August 625 until it was abrogated by the actions of Muhammad in December 627. Prior to August 625 there were a few examples of forced or attempted forced conversions to Islam. From December 627 until Muhammad's death in 632, Islam was spread across the Arabian Peninsula by Muhammad and the Muslims offering most of the non-Muslim tribes the choice of Islam or the sword. Muhammad believed that non-Muslims could, and should be forced to convert to Islam, and he acted accordingly. 27:23-44 (The Queen of Sheba) – In a section titled "What kinds of roles did women play in early Islam?" Esposito wrote on p. 105 about how in 27:23-44 the Koran portrayed the Queen of Sheba as a positive role model and an "effective political leader." However, a look at those verses tells us the opposite. In 27:23-27 a "hoopoe" bird reported to King Solomon about the Queen of Sheba, telling him that the Queen had many possessions and a great throne. However, the Queen and her people worshipped the sun instead of Allah. In 27:28-34 Solomon sent a letter to the Queen calling on her to become a Muslim. The Queen told her chiefs that she was afraid of what Solomon would do to them if he marched into Sheba. In 27:35-41 the Queen sent Solomon a gift hoping he would not attack them, but Solomon told her messengers that he would come to them with a force they could not resist and drive them out in disgrace. Solomon then asked for someone from among his own people and Jinn to bring him her throne, and it was done by one of the Jinn. In 27:42-44 the Queen went to Solomon, admitted that she had wronged herself by not believing in Allah, and then became a Muslim. The theme of these verses is not on the Queen as a positive role model and effective leader, but rather as a Queen facing an overwhelming, hostile Muslim force and consequently deciding to convert to Islam. In Part 1, we saw how adept Esposito was in playing the Kafir Edition of Fantasy Islam with the religion of Islam in general. Now we see that Esposito took a similar approach in presenting selected verses of the Koran. Perhaps his book would have been better titled What Everyone Needs to Know about John Esposito's Version of Islam. 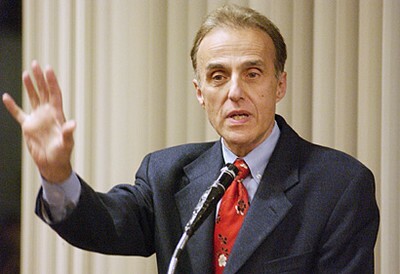 Dr. Stephen M. Kirby is the author of four books about Islam. His latest book is Islam's Militant Prophet: Muhammad and Forced Conversions to Islam.